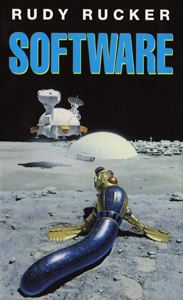 The demise of Penguin's science fiction list after 1988 did not mean the company broke with sf altogether, although the focus now shifted to America. In 1990 Penguin UK published four Buck Rogers titles in association with TSR Inc, the US company behind the role-playing game Buck Rogers in the 25th Century (and the title of a popular tv series in 1979-81). The books were loosely based on the game and comprised the Martian Wars trilogy and an anthology of seven Buck Rogers stories, including one by Robert Sheckley and two by the grandson of John F Dille, who commissioned the original Buck Rogers comic strip in 1929. An anthology of seven Buck Rogers stories, first published in 1989. Published in Penguin Books May 1990 with a cover by Chris Alan Wilton. 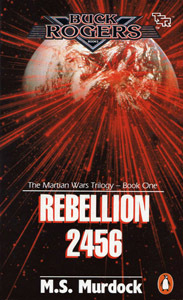 Book one of the Martian Wars trilogy, first published in 1989. Published in Penguin Books May 1990 with a cover by Don Carroll. 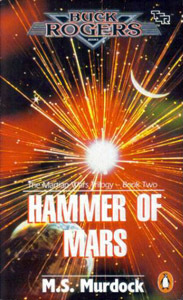 Book two of the Martian Wars trilogy, first published in 1989. 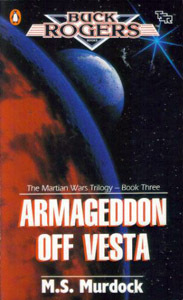 Book three of the Martian Wars trilogy, first published in 1989. Published in Penguin Books May 1990 with a cover by Don Landwehrle. Penguin had also acquired New American Library, which launched its RoC science fiction and fantasy imprint in April 1990. 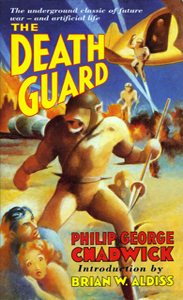 Several Penguin sf titles were reissued under the RoC imprint over the next four years, along with the first paperback publication of The Death Guard by Philip George Chadwick. However, unlike the Buck Rogers books, the RoC covers had no Penguin logo, and the only indication that these were Penguins was the small print on each book's copyright page. 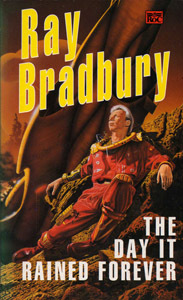 with a cover illustration by Fred Gambino. by Brian Aldiss. 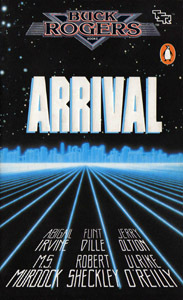 The cover illustration is by Peter Garriock. 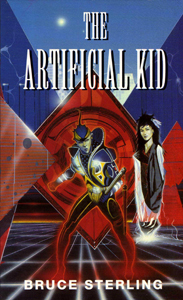 shown left, with a cover illustration by Peter Jones. by J B Priestley. 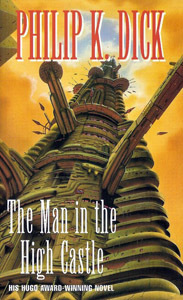 The cover illustration by Peter Elson. 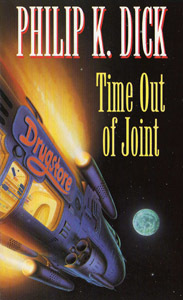 with a cover illustration by Chris Moore. with a cover illustration by Keith Scaife. 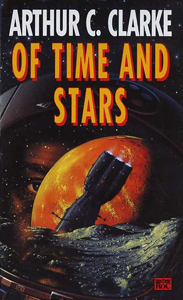 Penguin continues to publish sf and fantasy under the RoC imprint in the USA today, though by the mid 1990s several sf titles had been reissued as Penguin Classics and Modern Classics, and others would join them in the years that followed.